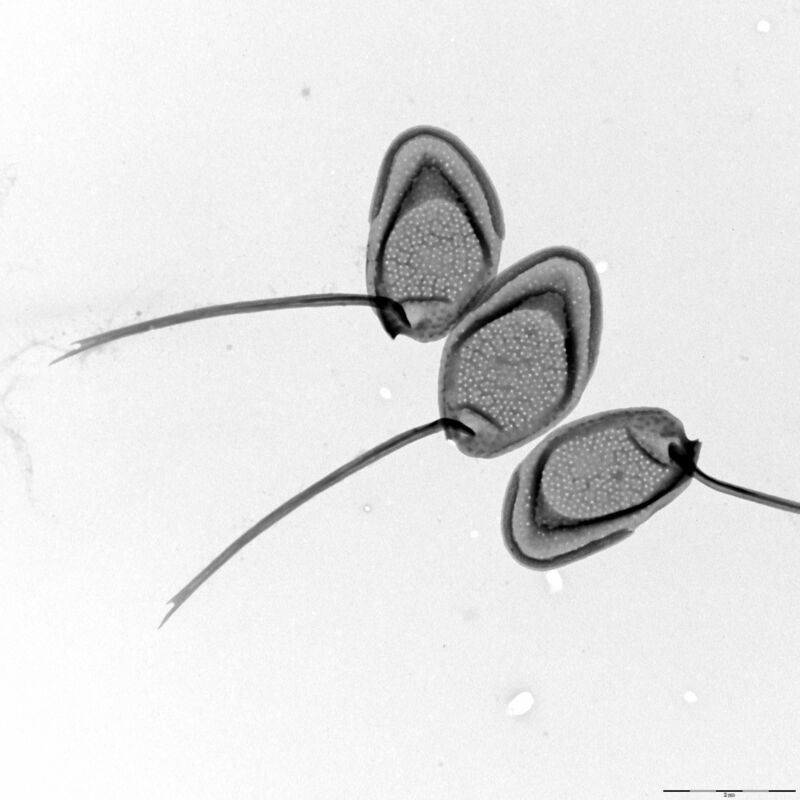 Description: Dürrschmidt, M. (1986): New species of the genus Mallomonas (Mallomonadaceae, Chrysophyceae) from New Zealand. – In:Kristiansen, J. & Andersen, R.A. (eds): Chrysophytes. Aspects and Problems. – pp. 87–106, Cambridge University Press, Cambridge. Note: Almost always reported together with M. retifera. Because of the morphological similarity of these two species, M. conspersa could represent an artificial species, synonymous to M. retifera (Siver, 1991).